The UKPHR Practitioner Standards were revised in 2018 and as a result, the UKPHR Guidance for Practitioner Registration and Supporting Information has also been updated. If applicants, assessors and/or verifiers have any queries or concerns regarding the revision, these should be directed to local scheme coordinators, who will bring these to the attention of the UKPHR moderation team. The original guidance to be used in relation to the 1st edition of the Practitioner Standards can be downloaded via the link below. 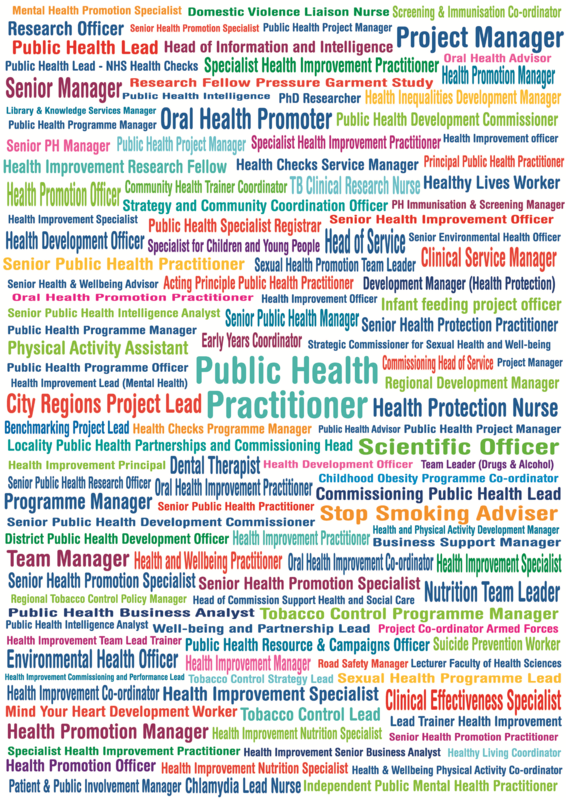 Who are our Public Health Practitioners? Public health practitioners are key members of the public health workforce and can have a great influence on the health and wellbeing of individuals, groups, communities and populations. They work across the full breadth of public health from health improvement and health protection, to health information, community development, and nutrition, in a wide range of settings from the NHS and local government to the voluntary, and private sectors. Across the UK, many thousands of practitioners work to protect and improve the health and well-being of communities and individuals and reduce inequities. They are responsible for some of the most important health and social gains in the UK. Their roles are multidisciplinary and they are responsible for individual and population level interventions including sensitive and deeply personal issues. The UK Faculty of Public Health (FPH) and UKPHR are united in the belief that a registered public health practitioner workforce and its continued professional development are crucial for the delivery of effective public health outcomes. Click here to read a joint letter to all UK Directors of Public Health. Follow the link for our publication, Public health practitioners in the UK for further information. What is Public Health Practitioner registration? We register practitioners who have demonstrated their competence in public health practice. In this way, the public, employers and commissioners of public health services know that practitioners who are registered are safe and effective in what they do. Registration provides assurance, public protection and recognition of achievement. The standards for practitioner registration are set out in UKPHR Practitioner Standards 2018 2nd edition and these standards are conveniently summarised in our standards table. The first edition of standards were developed using the Public Health Skills and Knowledge Framework as the source document and also drawn from both the NHS Knowledge and Skills Framework and the National Occupational Standards for Public Health, and they are fully supported by the Faculty of Public Health. The standards are intended for individuals already working as autonomous public health professionals in their own area of public health practice; at Skills for Health Careers Framework index Level 5 or above. The UKPHR cannot accept direct applications from individuals wishing to apply for Practitioner registration. Individuals wishing to apply need to go through a quality assured local assessment scheme. Currently, there are only ten such schemes in the UK and you need to work in the region the schemes cover in order to participate. The ten schemes are in the tabs below. Individuals can however get involved in setting up a scheme locally or regionally. 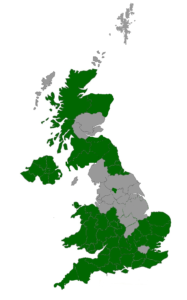 If you are interested in developing a scheme in your area please contact us.Areas shaded in green are those with a registration scheme in place. At the scheme level you will compile a portfolio which is assessed to demonstrate your knowledge, understanding and application of the UKPHR Practitioner Standards. After completion of assessment the application is referred to a regional verification panel who will then make recommendations on eligibility for practitioner registration direct to the UKPHR’s Registration Approvals Committee. Once you are recommended for registration by your scheme, you can proceed to submit your application to UKPHR at the national level. The East Midlands scheme is currently not recruiting any new cohorts. Please e-mail register@ukphr.org with any queries. Registered practitioners benefit through securing objective recognition of their achievements, maintaining and enhancing their competence and developing future career options. Employers and commissioners of public health services benefit through relying on a process which meets their due diligence requirements. Registration signals that the practitioner is competent and fully understands the essentials of the public health role. We want more employers and commissioners to specify that registration is a required quality standard. The public benefits through knowing that competence, integrity and accountability in public health practice is assured, it can be checked for on a public register – and there is someone to complain to if things go wrong.